“A documentary artist in the tradition of street photographers such as Weegee, Bruce Gilden has a sharp eye for idiosyncracy. Unlike many other street photographers, Gilden often used his flash to make his subject aware that they were being photographed and draw them closer to his lens, much in the way that theater lighting draws the audience nearer to the actors on a stage. The resulting intimacy is rare of images largely set in urban locations and public spaces. “What are the best Street Photography Books Of All-Time?” We looked at 254 of the top books, aggregating and ranking them so we could answer that very question! Martin Parr is Europe’s premier contemporary photographer, and The Last Resort is the book that is considered to have launched his career. Taken at the height of the Thatcher years, it depicts the “great British seaside” in all its garish glory. Described by some as cruel and voyeuristic and by others as a stunning satire on the state of Britain, early editions are now much sought after by collectors worldwide. Includes a new essay by Gerry Badger, photographer, architect, curator, and critic. “Fred Herzog’s bold use of colour in the 1950s and 60s set him apart at a time when the only art photography taken seriously was in black and white. His early use of color make him a forerunner of “”New Colour”” photographers such as Stephen Shore and William Eggleston, who received widespread acclaim in the 1970s. Herzog images were all taken on Kodachrome, a slide film with a sharpness and tonal range that, until recently, could not be reproduced in prints, and his choice of medium limited his exhibition opportunities. However, recent advances in digital technology have made high-quality prints of his work possible, and in the past few years his substantial and influential body of work has been available to a wider audience. Originally published in 1982, Stephen Shore’s legendary “Uncommon Places” has influenced more than a generation of photographers. Shore was among the first artists to take color beyond the domain of advertising and fashion photography, and his large-format color work on the American vernacular landscape inaugurated a vital photographic tradition. “Uncommon Places: The Complete Works,” published by Aperture in 2005, presented a definitive collection of the landmark series, and in the span of a decade has become a contemporary classic. Now, for this lushly produced reissue, the artist has added nearly 20 rediscovered images and a statement explaining what it means to expand a classic series. To find out what the greatest street photography books of all-time are, we aggregated together over 250 different books from eight separate “Best Street Photography” book lists. The top 53 titles, all appearing on 2 or more lists, are ranked below by how many times they appear. The remaining 200 books, as well as the sources we used are in alphabetical order on the bottom of the page. William Eggleston’s Guide was the first one-man show of color photographs ever presented at The Museum of Modern Art, New York, and the Museum’s first publication of color photography. The reception was divided and passionate. The book and show unabashedly forced the art world to deal with color photography, a medium scarcely taken seriously at the time, and with the vernacular content of a body of photographs that could have been but definitely weren’t some average American’s Instamatic pictures from the family album. These photographs heralded a new mastery of the use of color as an integral element of photographic composition. Bound in a textured cover inset with a photograph of a tricycle and stamped with yearbook-style gold lettering, the Guide contained 48 images edited down from 375 shot between 1969 and 1971 and displayed a deceptively casual, actually super-refined look at the surrounding world. Here are people, landscapes and odd little moments in and around Eggleston’s hometown of Memphis–an anonymous woman in a loudly patterned dress and cat’s eye glasses sitting, left leg slightly raised, on an equally loud outdoor sofa; a coal-fired barbecue shooting up flames, framed by a shiny silver tricycle, the curves of a gleaming black car fender, and someone’s torso; a tiny, gray-haired lady in a faded, flowered housecoat, standing expectant, and dwarfed in the huge dark doorway of a mint-green room whose only visible furniture is a shaded lamp on an end table. “World-renowned for her iconic black-and-white street photographs, New York City’s visual poet laureate Helen Levitt also possessed a little-known archive of color work, which was been collected for the first time in Slide Show, her third powerHouse Books monograph. The distinctive iconography of Saul Leiter’s early black-and-white photographs stems from his profound response to the dynamic street life of New York City in the late 1940s and 50s. While this technique borrowed aspects of the photo-documentary, Leiter’s imagery was more shaped by his highly individual reactions to the people and places he encountered. Like a Magic Realist with a camera, Leiter absorbed the mystery of the city and poignant human experiences. Together with Early Color, also published by Steidl, the two volumes comprising Early Black and White show the impressive range of Leiter’s early photography. This is a reprint of the immensely successful Early Color (2008), which presented Saul Leiter’s remarkable body of color work to the public for the first time in book form. Although Edward Steichen had exhibited some of Leiter’s color photography at The Museum of Modern Art in 1953, it remained virtually unknown to the world thereafter. Leiter moved to New York in 1946 to become a painter, but through his friendship with Richard Pousette-Dart he quickly recognized the creative potential of photography. Leiter continued to paint, exhibiting with Philip Guston and Willem de Kooning, but the camera remained his ever-present means of recording life in the metropolis. None of Leiter’s contemporaries, with the partial exception of Helen Levitt, assembled a comparable body of work: subtle, often abstract compositions of lyrical, eloquent color. Originally published as a large format hardcover in 2006, this carefully curated retrospective of Elliott Erwitt’s work is now available in a less expensive edition. This is a classic collection of images by a master of the art form. In 2003, Trent Parke began a road trip around his native Australia, a monumental journey that was to last two years and cover a distance of over 90.000 km. Minutes to Midnight is the ambitious photographic record of that adventure, in which Parke presents a proud but uneasy nation struggling to craft its identity from different cultures and traditions. Minutes to Midnight merges traditional documentary techniques and imagination to create a dark visual narrative portraying Australia with a mix of nostalgia, romanticism and brooding realism. This is not a record of the physical landscape but of an emotional one. It is a story of human anxiety and intensity which, although told from Australia, represents a universal human condition in the world today. “Included are luminaries such as Magnum members Bruce Gilden, Martin Parr, and Alex Webb (who are still “seeing what is invisible to others,” as Robert Frank put it), along with an international group of emerging photographers whose individual biographies illuminate the stories behind their pictures of New York, Tokyo, Delhi, or Dakar. Street photography has been around since the very first cameras were invented, producing some of the most poignant images of our time. Today, a wave of new technology has given this photographic genre a new lease of life, from phone cameras to specialist lenses to digital zooms. The Street Photography Manual leads the reader through a series of fully illustrated tutorials, including how to shoot a face in a crowd and how to train your eye to observe and capture the unexpected. 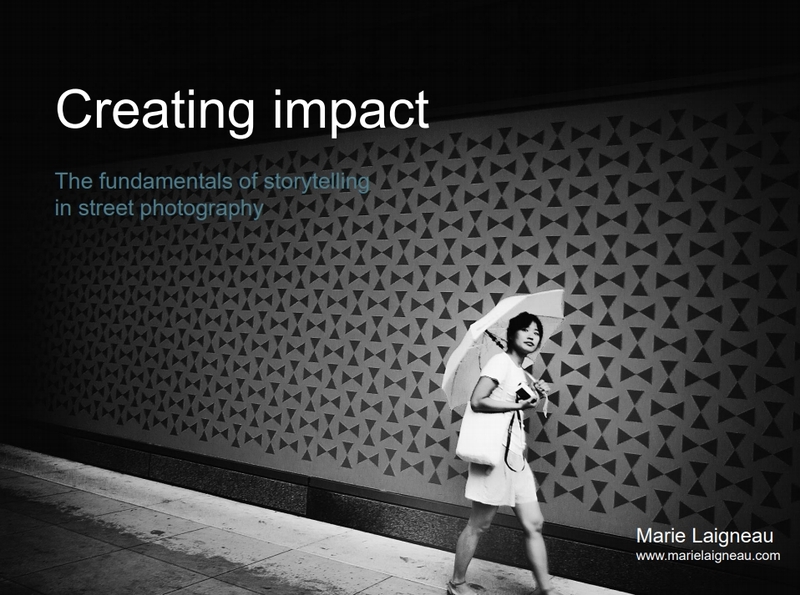 Readers will be inspired by some of the best street photographers in the world, and then go forth and create their own memorable images. Richard Kalvar, a member of the elite club of Magnum photographers, has an exceptional eye and a talent for catching moments when societal behavior becomes humorous or shifts into the absurd. His compelling duotone photographs document the human condition. Kalvar seeks to emphasize the unusual, and his penetrating lens reveals a unique brand of humanity. He explores everyday life but with an altogether fresh perspective, at times funnier or darker. This collector’s monograph was produced in conjunction with the artist from photographic “evidence” compiled on his travels from Rome to Paris, New York to Varsovie, and San Francisco to Tokyo.This is the first monograph published on Kalvar, one of the world’s most important post war photographers. “As sensitive to human suffering as to the simple pleasures of life, Robert Doisneau is one of the most celebrated exponents of the Photographie humaniste that swept through the 1950s. Cherished in particular for his soulful portraits of Paris, Doisneau demonstrated a unique ability to find – and perfectly frame – charismatic characters, entertaining episodes and fleeting moments of humor and affection. “Within the canon of European photography books it would be difficult to find one more famous, revered and influential as Henri Cartier-Bresson’s The Decisive Moment,” wrote Jeffrey Ladd in Time LightBox, in a feature on Steidl’s new edition of this ultimate photobook classic. Originally published in 1952, this collection of Cartier-Bresson’s best work from his early years was embellished with a collage cover by Henri Matisse. The book has since influenced generations of photographers, while its English title defined the notion of the famous peak in which all elements in the photographic frame accumulate to form the perfect image―not the moment of the height of the action, necessarily, but the formal, visual peak. This new publication―the first and only reprint since the original 1952 edition―is a meticulous facsimile of the original book that launched the artist to international fame, with an additional booklet on the history of The Decisive Moment by Centre Pompidou curator Clément Chéroux. The energetic, fluctuating pace of the metropolis has long lured photographers to capture—often candidly—the chaos, character, and incident of modern urban life ever since the genesis of photography in the 19th century. The World Atlas of Street Photography focuses on the abundance of photos created on street corners internationally, including classic documentary street photography as well as mediated images of urban landscapes, staged performances, and sculpture. Twelve specially commissioned artworks are featured, in addition to a wide selection of striking and well-known images of city life. Lively and informative, this handsome book compiles expressions of a vibrant genre and is the first of its kind to scour the globe—from New York to New Delhi, Beijing to Brighton, Havana to Hamburg, and Sydney to Seoul. The first publication to focus on the street photos at the core of Winogrand’s work, this collection features numerous shots that have never before been printed. Bruce Davidson is a pioneer of social documentary photography. He began taking photographs at the age of ten and continued to develop his passion at Rochester Institute of Technology and Yale University. Later called upon for military service, Davidson met Henri Cartier-Bresson in France and was introduced to Magnum Photos. In his work, Davidson prizes his relationship to the subject above all else. From his profound documentation of the civil rights movement to his in-depth study of one derelict block in Harlem, he has immersed himself fully in his projects, which have sometimes taken him several years to complete. He once wrote, I often find myself an outsider on the inside, discovering beauty and meaning in the most desperate of situations. “Ernst Haas is unquestionably one of the best-known, most prolific and most published photographers of the twentieth century. A good street photographer must be possessed of many talents: an eye for detail, light, and composition; impeccable timing; a populist or humanitarian outlook; and a tireless ability to constantly shoot, shoot, shoot, shoot and never miss a moment. It is hard enough to find thesequalities in trained photographers with the benefit of schooling and mentors and a community of fellow artists and aficionados supporting and rewarding their efforts. It is incredibly rare to find it in someone with no formal training and no network of peers. A notoriously reclusive artist, Sergio Larrain (1931-2012) has nonetheless become a touchstone for those who have come to know and love his work, including authors Roberto Bolaño and Julio Cortázar. Celebrated by Henri Cartier-Bresson, his contemporary and a co-founder of Magnum, Larrain’s experimental process yielded images that transformed the fixed nature of the medium. His images have left generations of viewers in awe of the simultaneous serenity and spontaneity that a camera can capture–when placed, that is, in the hands of an artist with such rare meditative passion. “A good image is born from a state of grace,” the artist once explained. “Sergio Larrain,” a selection of more than 200 images, rectifies Larrain’s omission from the canon of significant twentieth-century photographers, and combines his work in Latin America with photographs taken in Europe. Following a creatively fertile period in the 1950s and 60s, Larrain put away his camera and devoted himself to the solitary pursuit of spiritual mysticism, a decision that further contributed to his reputation as a romantic, a “fatal personage,” in the words of Bolaño. Created with the encouragement of Larrain’s family, the book is sumptuously produced, designed by Xavier Barral and edited by Agnès Sire, who enjoyed a long correspondence with the photographer and has worked with Magnum on preserving his photographic estate. The blog has steadily grown, now boasting millions of devoted followers. Humans of New York is the book inspired by the blog. With four hundred color photos, including exclusive portraits and all-new stories, Humans of New York is a stunning collection of images that showcases the outsized personalities of New York. “Born in Antwerp in 1941 and a member of Magnum Photos since 1982, Harry Gruyaert revolutionized creative and experimental uses of color in the 1970s and 1980s. Influenced by cinema and American photographers, his work defined new territory for color photography: an emotive, non-narrative, and boldly graphic way of perceiving the world. When Diane Arbus died in 1971 at the age of 48, she was already a significant influence—even something of a legend—for serious photographers, although only a relatively small number of her most important pictures were widely known at the time. The publication of Diane Arbus: An Aperture Monograph in 1972—along with the posthumous retrospective at The Museum of Modern Art—offered the general public its first encounter with the breadth and power of her achievements. The response was unprecedented. The monograph, composed of 80 photographs, was edited and designed by the painter Marvin Israel, Diane Arbus’ friend and colleague, and by her daughter Doon Arbus. Their goal in producing the book was to remain as faithful as possible to the standards by which Arbus judged her own work and to the ways in which she hoped it would be seen. Universally acknowledged as a photobook classic, Diane Arbus: An Aperture Monograph is a timeless masterpiece with editions in five languages, and remains the foundation of her international reputation. A quarter of a century has done nothing to diminish the riveting impact of these pictures or the controversy they inspire. Arbus’ photographs penetrate the psyche with all the force of a personal encounter and, in doing so, transform the way we see the world and the people in it. First published in 1987, Joel Sternfeld’s American Prospects is the classic photo record of 1980s America. This definitive edition, made with new plates and including one additional photograph, offers a spectacular, funny, sad and soberly riveting portrait of America’s diverse possibilities and prospects in the Reagan era. From the famous “Wet n’ Wild Aquatic Theme Park” in Florida to “The Space Shuttle Columbia Lands at Kelly Air Force Base” in San Antonio, Texas; from melancholy images of beached whales in Oregon to beautiful views of Yellowstone National Park and Bear Lake in Utah; from post-tornado Nebraska to a previously unseen photograph from the series, “Bikini Contest, Fort Lauderdale, FL, March 1983”; the sublime contradictions and tragicomedy of this volume are without doubt one of the greatest accomplishments of color photography, all the more fully realized in this splendid new edition. An essay by Kerry Brougher, Chief Curator at the Hirshhorn Museum and Sculpture Garden, considers the historical context of Sternfeld’s book and the pivotal role that American Prospects has played in the evolution of contemporary filmmaking and art photography. In “Istanbul: City of a Hundred Names,” Magnum photographer Alex Webb displays his particular ability to distill gesture, color and contrasting cultural tensions into a single, beguiling frame. He presents a vision of Istanbul as an urban cultural center, rich with the incandescence of its past–a city of minarets and pigeons rising to the heavens during the early-morning call to Muslim prayers–yet also a city riddled with ATM machines and clothed in designer jeans. 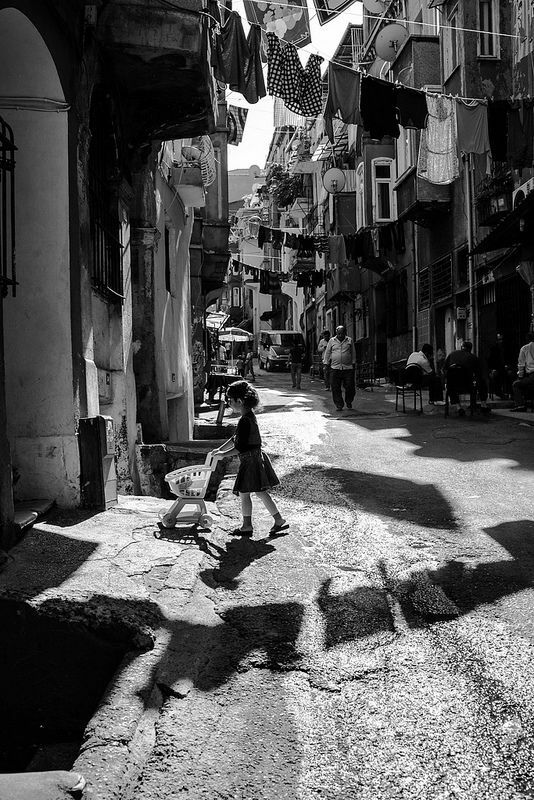 Webb began photographing Istanbul in 1998, and became instantly enthralled: by the people, the layers of culture and history, the richness of street life. But what particularly drew him in was a sense of Istanbul as a border city, lying between Europe and Asia. 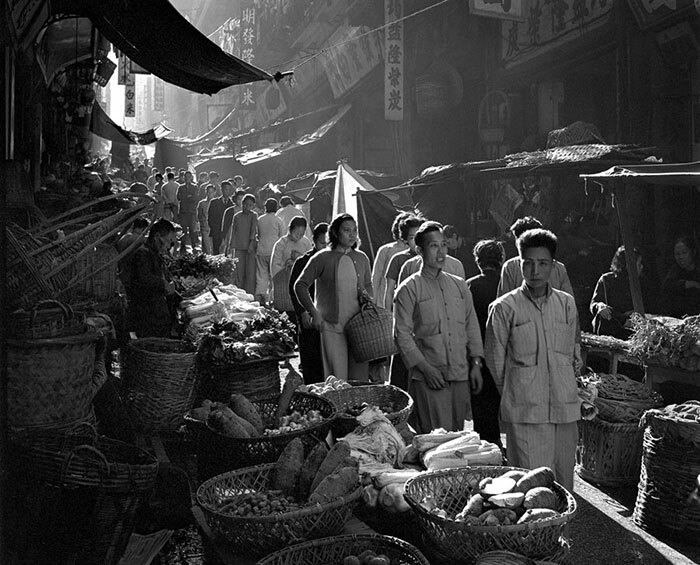 “For 30-some years as a photographer, I have been intrigued by borders, places where cultures come together, sometimes easily, sometimes roughly.” The resulting body of work, some of Webb’s strongest to date, conveys the frisson of a culture in transition, yet firmly rooted in a complex history. More than any other artist, Walker Evans invented the images of essential America that we have long since accepted as fact, and his work has influenced not only modern photography but also literature, film and visual arts in other mediums. The original edition of American Photographs was a carefully prepared letterpress production, published by The Museum of Modern Art in 1938 to accompany an exhibition of photographs by Evans that captured scenes of America in the early 1930s. As noted on the jacket of the first edition, Evans, “photographing in New England or Louisiana, watching a Cuban political funeral or a Mississippi flood, working cautiously so as to disturb nothing in the normal atmosphere of the average place, can be considered a kind of disembodied, burrowing eye, a conspirator against time and its hammers.” This seventy-fifth anniversary edition of American Photographs, made with new reproductions, recreates the original 1938 edition as closely as possible to make the landmark publication available for a new generation. American Photographs has fallen out of print for long periods of time since it was first published, and even subsequent editions–two of which altered the design and typography of the book in small but significant ways–are often available only at libraries and rare bookstores. This version, like the fiftieth-anniversary edition produced by the Museum in 1988, captures the look and feel of the very first edition with the aid of new digital technologies. Previously published in 1959, Frank’s most famous and influential photography book contained a series of deceptively simple photos that he took on a trip through America in 1955 and 1956. These pictures of everyday people still speak to us today, 40 years and several generations later. Some of Walker Evans’ most iconic images of 20th-century American culture are showcased in this book celebrating his 50-year career. Walker Evans was one of the most important American photographers of the 20th century. His focus on everyday life in America, in both urban and rural settings, makes him also one of the most relatable. This retrospective volume traces Evans’ career through more than 300 images—from his first photographs of the late 1920s to his Polaroids of the 1970s. Organized thematically, the book examines topics such as Evans’ relationship with the impresario Lincoln Kirstein, his work in postcards and magazines, and his lifelong exploration of the American vernacular. In addition, this volume features items from the photographer’s own collection, including personal writings, signage, postcards, and other ephemera. Through these ancillary objects and a thorough overview of Evans’ career, readers will come away with a better understanding of a photographer whose iconic photographs remain timeless. The Animals is a classic photo book by the incessant, masterful photographer Garry Winogrand, reissued in a new edition by The Museum of Modern Art, New York, which first published the book in 1968. In it, Winogrand leaves the streets of the city for the caged aisles of the real urban jungle, the zoo, where he captures some of the more humiliating and strange moments in the lives of God’s creatures. See a lion stick its tongue out between chain-link fencing, an orangutan pee into another’s mouth, a hippo give a great big yawn, two lions lamely going at it, and seals watching lovers kiss. The story of Communism is the story of the twentieth century. For many, the Soviet Union existed, like their childhood, as a fairy tale where many of the realities of life were hidden from plain view. When the Berlin Wall finally fell, so too did the illusion of that utopia. Wonderland is a photographic exploration that portrays both the reality beneath the veneer of a utopian USSR and the affirmation of hope that should never be abandoned. And like all fairy tales try to teach us: the hard lessons of self-reliance. If you have ever seen a great potential street photograph but paused, hesitated, or didn’t take the shot (because you were scared) — learn how to overcome your fear of shooting street photography with these 31 simple assignments (over a 31 day period). 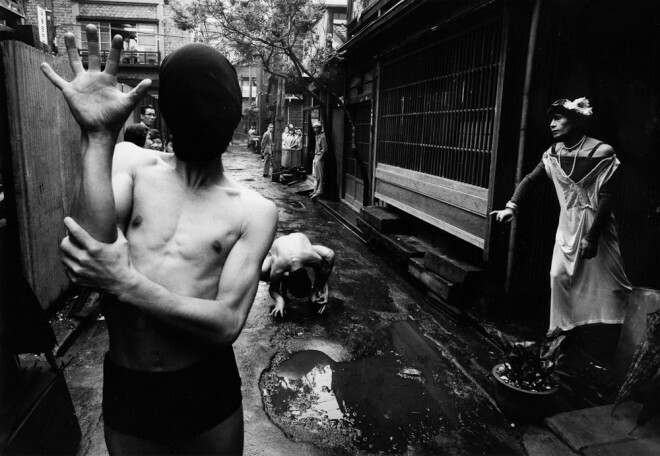 A broad monograph devoted to one of the preeminent names in contemporary Japanese photography. Moriyama’s photography is provocative, both for the form it takes (Moriyama’s photographs may be dirty, blurry, overexposed or scratched) and for its content. The viewer’s experience of the photo–whether it captures a place, a person, a situation or an atmosphere–is the central thrust in his work, which vividly and directly conveys the artist’s emotions. The approximately 200 black-and-white images sketch out an original perspective on Japanese society, especially during the period from the 1950s to the ’70s. During this time, he produced a collection of photographs — Nippon gekijo shashincho — which showed darker sides of urban life and relatively unknown parts of cities. In them, he attempted to show what was being left behind during the technological advances and increased industrialization in much of Japanese society. His work was often stark and contrasting within itself–one image could convey an array of senses; all without using color. His work was jarring, yet symbiotic to his own fervent lifestyle. Alongside William Eggleston, Stephen Shore, Joel Sternfeld and Mitch Epstein, New York–born and bred Joel Meyerowitz is one of the most important representatives of the New Color Photography movement of the 1960s and 70s. This retrospective traces his entire oeuvre, from his street photography to his light experimentations made during “the blue hour” in Cape Cod, and includes famous series such as Cape Light, After September 11: Images from Ground Zero, Legacy: The Preservation of Wilderness in New York City Parks, in addition to the artist’s much-loved early work―his first trip to Europe in 1967, and his concurrent transition from black and white to color―which has been much less widely published. 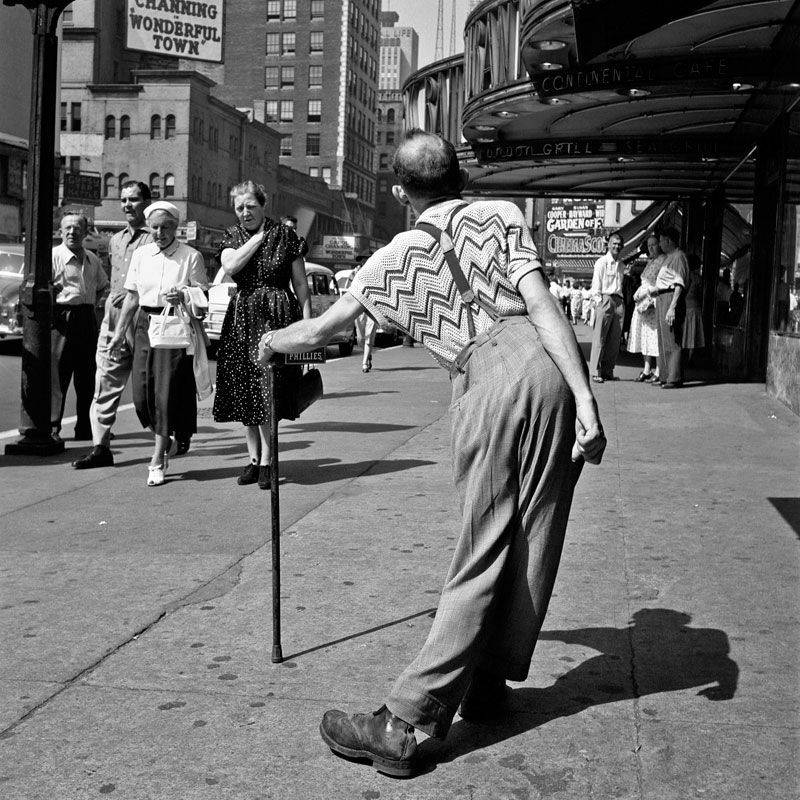 Though Meyerowitz admired Henri Cartier-Bresson and Robert Frank, and shares their uncanny ability to grasp a human being on the street as both an individual and a representative of a larger social context, his handling of space and composition consciously differs from that of his idols, his framing less synchronized, the moments he captures, interestingly, less perfect. Helen Levitt, the visual poet laureate of New York City, published her magnum opus Crosstown in 2001 to great acclaim. The book immediately sold out, never to be reprinted, making it a classic volume of street photography for the cognoscenti. Levitt went on to author two smaller volumes, Here and Thereand Slide Show, her first monograph exclusively featuring her little-known color work, which have garnered her accolades from around the globe. 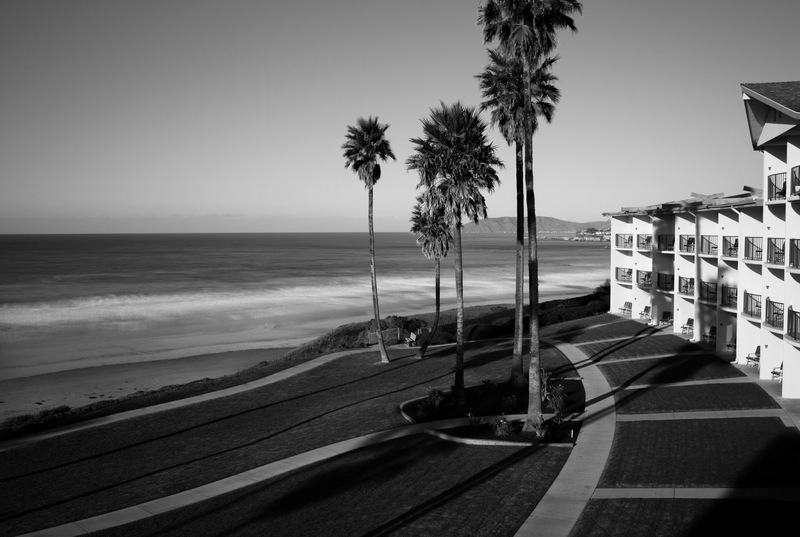 Most recently, she was named the 2008 recipient of the SPECTRUM International Prize for Photography of the Foundation of Lower Saxony, an honor previously bestowed on such luminaries as Robert Adams and Sophie Calle. Her final book: Helen Levitt, was released in conjunction with a retrospective exhibition at Germany’s Sprengel Museum Hannover, the exhibit included her most iconic works, intermixed with never-before-seen color work. Combining seven decades of New York City street life with her seminal work in Mexico City, Helen Levitt’s self-titled compilation features the master works of an incomparable career. Ideal for art students at every level • Illuminating words about creating great images • Published in association with New York’s School of Visual Arts. What does it mean to become a photographer in the twenty-first century? This thoughtful collection of essays illuminates the spirit of the people who make the indelible images of our times. 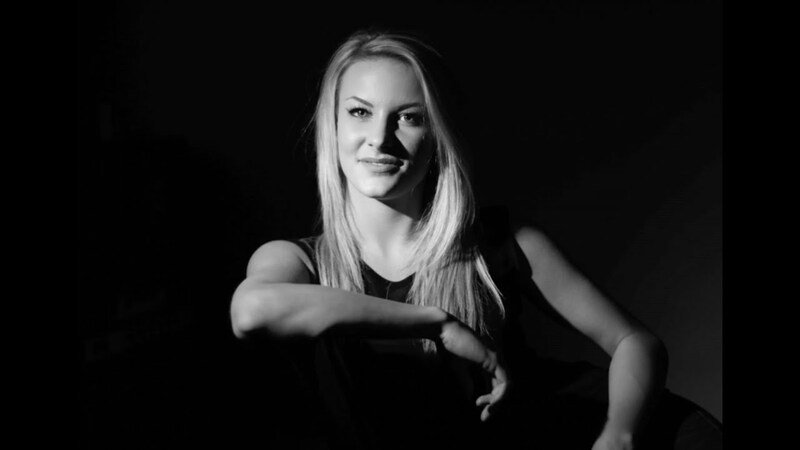 Aspiring and professional photographers—especially those in arts programs throughout the United States—will appreciate the comprehensive vision of The Education of a Photographer. Classic writings from the twentieth century as well as the thoughts of the most influential talents working today, plus essays from designers, editors, and gallery owners, make this a compelling look at what drives and inspires photographers to create great work. About Exiles, Cornell Capa once wrote, Koudelka’s unsentimental, stark, brooding, intensely human imagery reflects his own spirit, the very essence of an exile who is at home wherever his wandering body finds haven in the night. In this newly revised and expanded edition of the 1988 classic, which includes ten new images and a new commentary with Robert Delpire, Koudelka’s work once more forms a powerful document of the spiritual and physical state of exile. The sense of private mystery that fills these photographs—mostly taken during Koudelka’s many years of wandering through Europe and Great Britain since leaving his native Czechoslovakia in 1968—speaks of passion and reserve, of his rage to see. Solitary, moving, deeply felt and strangely disturbing, the images in Exiles suggest alienation, disconnection and love. Exiles evokes some of the most compelling and troubling themes of the twentieth century, while resonating with equal force in this current moment of profound migrations and transience. “Mark Cohen first came to the attention of the photography world in 1973 with a solo exhibition at the Museum of Modern Art, New York. This iconic show proved to the art world that Cohen was the heir apparent to the explosive street photography of the 60s. Now, after more than thirty years, Cohen’s complex and influential body of work is presented for the first time in Grim Street, an astonishing collection of Americana as original and effective as the work of Robert Frank, Garry Winogrand, or Weegee. Back in Print! The first comprehensive overview of the work of Garry Winogrand, long out of print and difficult to come by, contains an eloquent and important essay on the life and work of the photographer by John Szarkowski and a lavish plate section presenting the photographs thematically. This is a vision of the contemporary world (since the fall of the Berlin Wall in 1989) by the photographers of Magnum – from Henri Cartier-Bresson to the organization’s newest recruits and presented in a sequence of photo-essays introduced by the photographers themselves. Available for the first time in an accessible paperback edition, this groundbreaking book presents a remarkable selection of contact sheets and ancillary material, revealing how the most celebrated Magnum photographers capture and edit the very best shots. Addressing key questions of photographic practice, the book illuminates the creative methods, strategies, and editing processes behind some of the world’s most iconic images. “In this book, the authors explore and discuss the development of one of the most interesting and dynamic of photographic genres. Hailed as a landmark work when it was first published in 1994, Bystander is widely regarded by street photographers as the “”bible”” of street photography. Divided Soul represents David Alan Harvey’s 20-year journey through the Spanish and Portuguese diaspora in the Americas. In this stunning selection of more than 100 colour photographs, Harvey explores the exuberance and incongruities of Hispanic life and culture that hold for him an endless fascination. Since the 1970s Harvey has been taking photographs in Spain, Portugal, Cuba, Mexico, Honduras, Brazil and Chile. A passionate and divided soul, where tradition and ritual are inherent in everyday life, is revealed in these photographs of pulsating carnivals in Trinidad, fervent religious ceremonies in Brazil, and intense Easter parades in Puerto Rico. Harvey minimizes the distance between himself and his subjects, producing images that capture the natural choreography of people within places – images that resonate with the magic of their subjects. “The Suffering of Light” is the first comprehensive monograph charting the career of acclaimed American photographer Alex Webb. Gathering some of his most iconic images, many of which were taken in the far corners of the earth, this exquisite book brings a fresh perspective to his extensive catalog. Recognized as a pioneer of American color photography since the 1970s, Webb has consistently created photographs characterized by intense color and light. His work, with its richly layered and complex composition, touches on multiple genres, including street photography, photojournalism, and fine art, but as Webb claims, “to me it all is photography. You have to go out and explore the world with a camera.” Webb’s ability to distill gesture, color and contrasting cultural tensions into single, beguiling frames results in evocative images that convey a sense of enigma, irony and humor. Featuring key works alongside previously unpublished photographs, “The Suffering of Light” provides the most thorough examination to date of this modern master’s prolific, 30-year career. 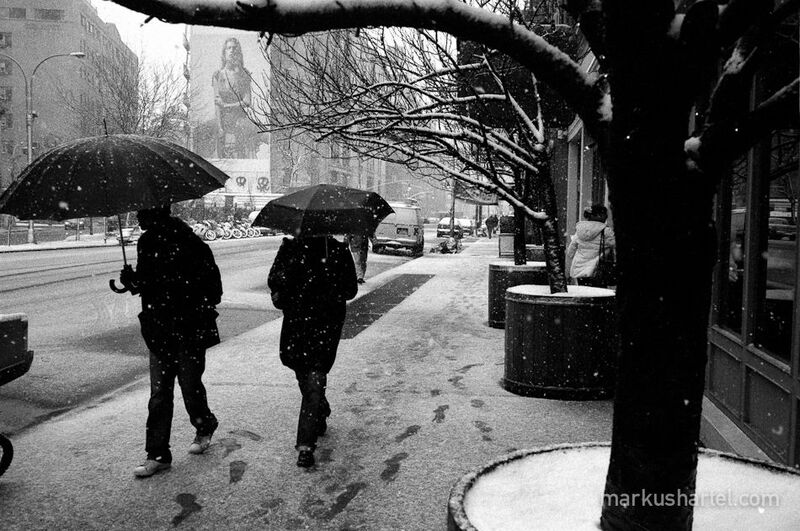 107Frozade Moments: Classic Street Photography of Ricky PowellRicky PowellGoodreads108Garry WinograndLeo Rubinfein et. al. “Now an instant #1 New York Times bestseller, Humans of New York began in the summer of 2010, when photographer Brandon Stanton set out to create a photographic census of New York City. Armed with his camera, he began crisscrossing the city, covering thousands of miles on foot, all in an attempt to capture New Yorkers and their stories. The result of these efforts was a vibrant blog he called “”Humans of New York,”” in which his photos were featured alongside quotes and anecdotes. “The original, instant classic which set the world afire. 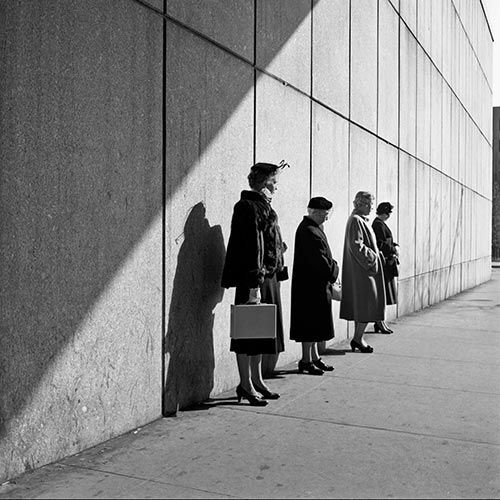 The first book to introduce the phenomenon that is the life story and work of Vivian Maier. This authoritative monograph reassesses the work and legacy of the great British photographer. It presents the best of Tony Ray-Jones’ photographs, reproduced from revealing new prints, and illuminates his life and artistic development with a selection of original documents and artifacts. 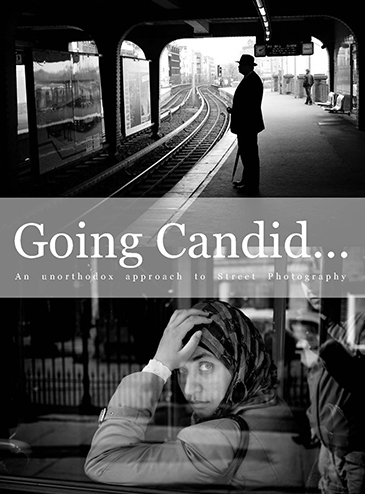 Edited and introduced by Russell Roberts, Senior Curator at the National Museum of Photography, Film & Television in the UK, this volume concludes with a conversation between two people whose careers were profoundly influenced by Ray-Jones and his work–the photographer Martin Parr and the writer and teacher Bill Jay.